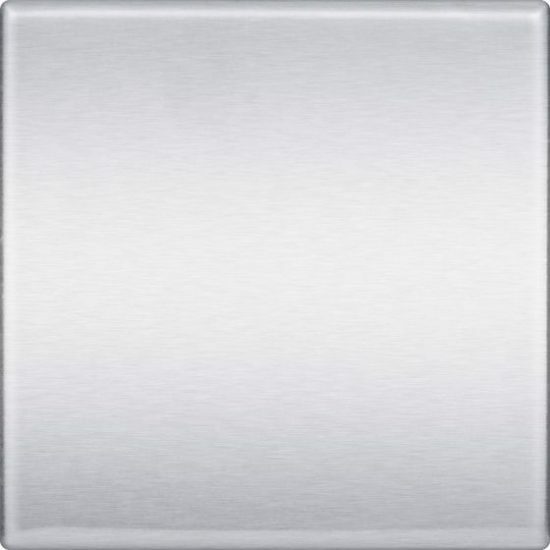 The 12 x 12 Stainless Steel Tile is Proudly Made in the USA. (Actual size: 12″ x 12″) Our largest offering for square tile, yet still can be used as a half tile for starting (or ending) rows with a subway pattern with the 12 x 24 stainless steel tiles. Perfect for commercial applications. 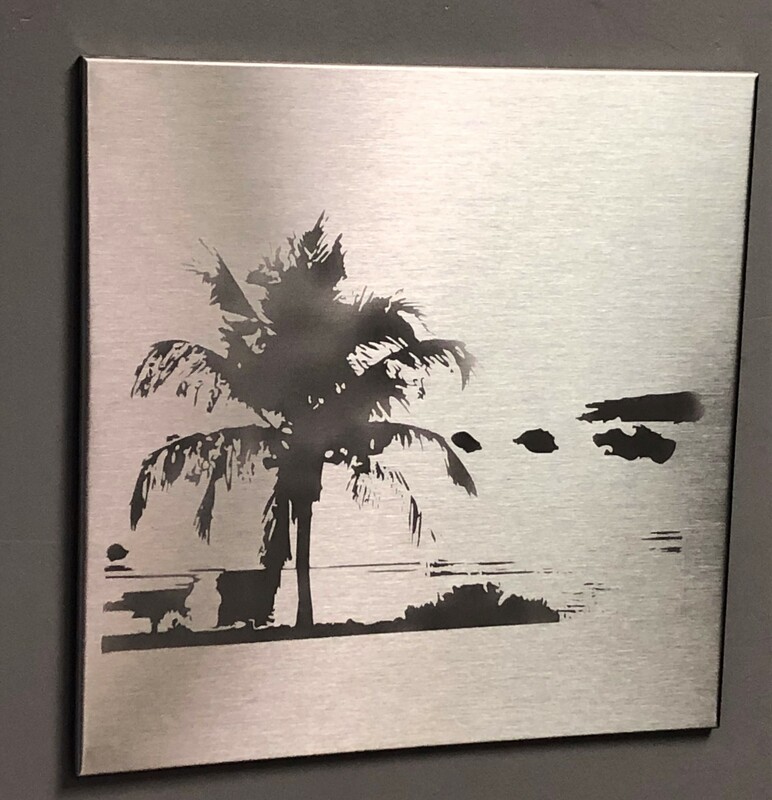 Great as a backsplash in a demonstration kitchen, a hotel or school lobby, or behind a bar or on the front of a reception desk. Because this tile is hand made using a press brake, larger orders my have a sightly longer lead time. We recommend that if you are considering using this tile you give us a call (404-655-6719) and discuss your requirements. Also, we want you to take note of the more pronounced oil canning effect on the larger tiles. 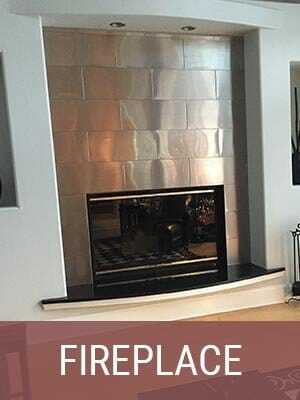 Take a look at the fireplace picture to the left. 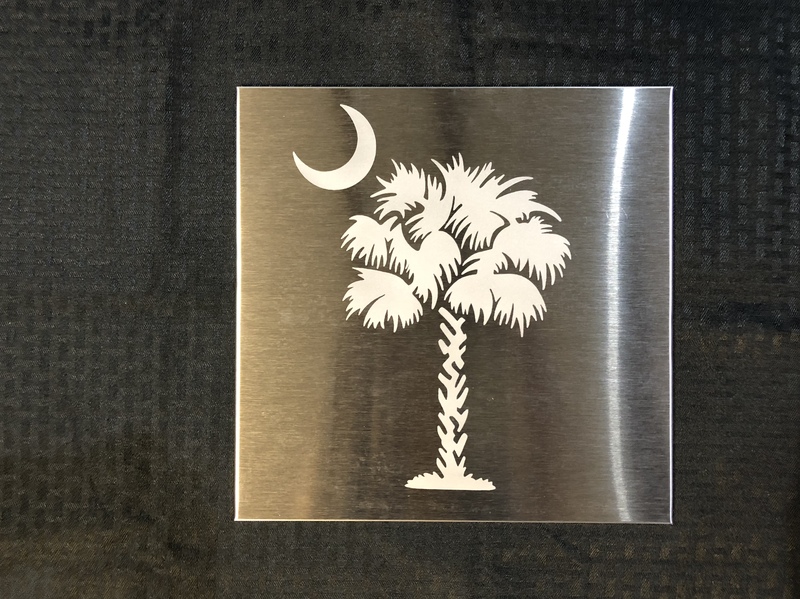 If you have question about cutting stainless steel tile, check out our YouTube Video on Cutting Stainless Steel Tile. Note: Two of the images to the left have sandblasted images. Give us a call to learn more.